For as long as I can remember, my parents have never been ones to make a fuss about being sick. I have almost no memory of taking days off from school because I felt “under the weather”. My brother and I never even bothered faking feeling sick because we knew our parents wouldn’t buy it and make us go anyway! On a not-so-related note, I didn’t even discover the (short-lived) joy of “bunking” until college. Back to the (medical) issue, we have a family GP, also my mom’s childhood best friend, who was our go-to for everything major. For everything else, there was desi ilaaj (home remedies). Feeling a little croaky? Have a ginger+honey+brandy nightcap. Have a bit of an uncomfortable tummy? 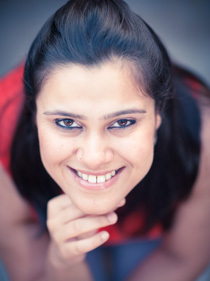 Eat khichdi (soupy dal & rice), curd and some pickled fresh ginger or turmeric for lunch. Have trouble sleeping? Have a glass of warm milk half hour before bed-time. Have extreme fatigue or joint pain? Massage on some warm coconut oil + camphor. 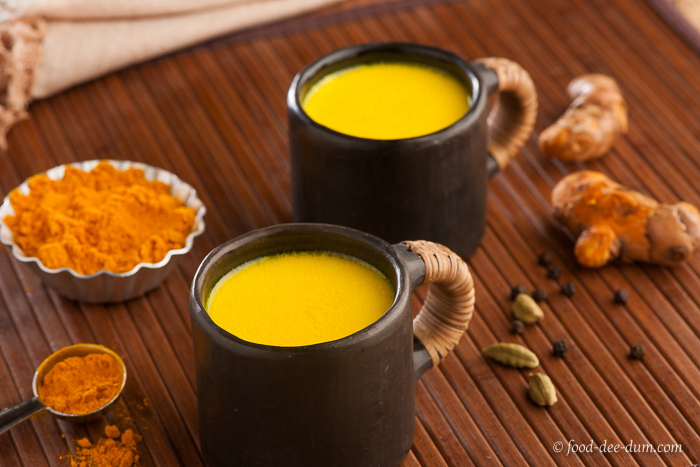 And my parents’ favourite was Haldi Doodh – from a sore throat to the common cold or any other related infection, it solves everything. It even gives relief when recovering from a physical injury – helps move the process along faster. Or so they told me. So we drank it at the drop of a hat. Literally. Only when I started cooking more and reading more about food, ingredients and their properties, did I realise what a brilliant little spice/root haldi is. It’s widely used in ayurvedic medicine and home remedies. It’s an anti-inflammatory and an antioxidant. It is also believed to have properties which improve cardiovascular health as well as having anti-cancer properties. You can read more about the properties here. 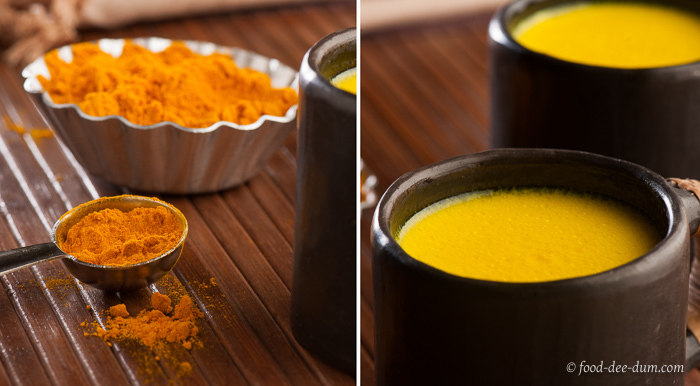 But, I have to stress, if you want to incorporate haldi in a more concentrated fashion in your diet and treatment, you should do it only under the supervision of a qualified ayurvedic doctor. 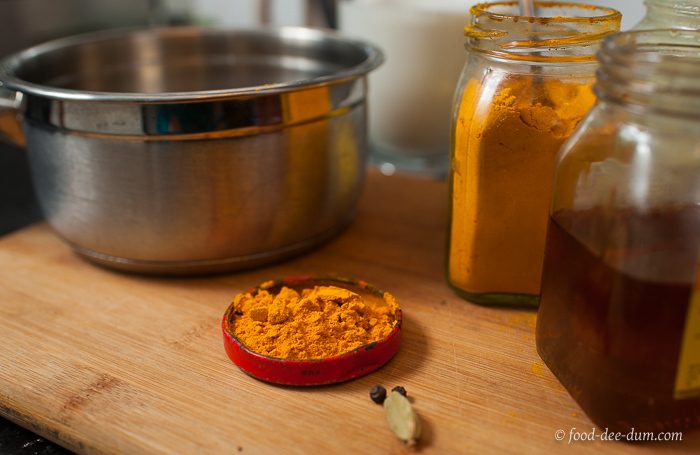 We usually restrict our unsupervised medicinal consumption of turmeric to Haldi Doodh and Pickled Haldi. Haldi Doodh is definitely an acquired taste and some people, namely AK, refuse to drink it on principle. But I drink it even if I have the slightest suspicion that I may come down with something. Almost as a preventive measure. And, over the years, I actually like the taste. I drink it in the winter sometimes even when I’m not looking for its healing properties. Add a hint of warm spices and the additional boost of ghee and honey, it’s actually quite tasty. 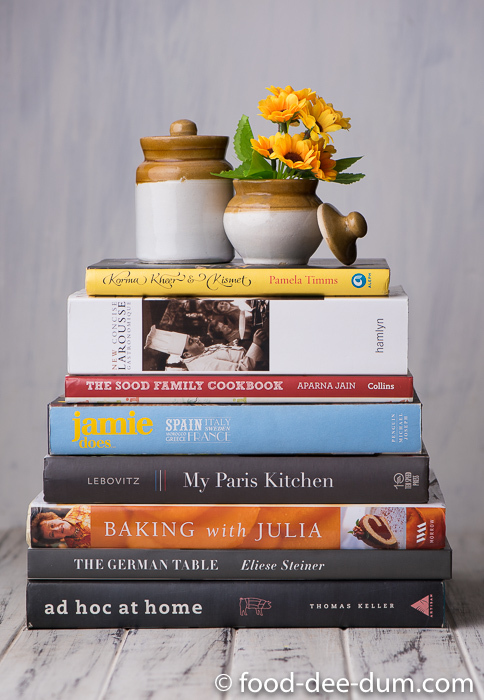 My recipe has changed a bit from my mom’s but the basic framework is still the same. 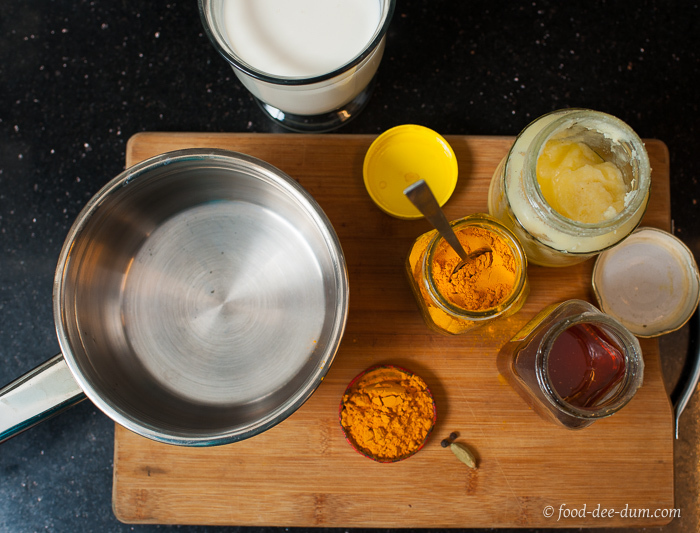 Haldi for its antiseptic, anti-inflammatory and healing properties, ghee to soothe and grease a scratchy sore throat and milk to wash it all down. I like to add some elaichi & black pepper for flavour and substituting sugar for honey – for an added boost in flavour and antiseptic properties. First, I assembled my ingredients and brought out a heavy bottomed saucepan. 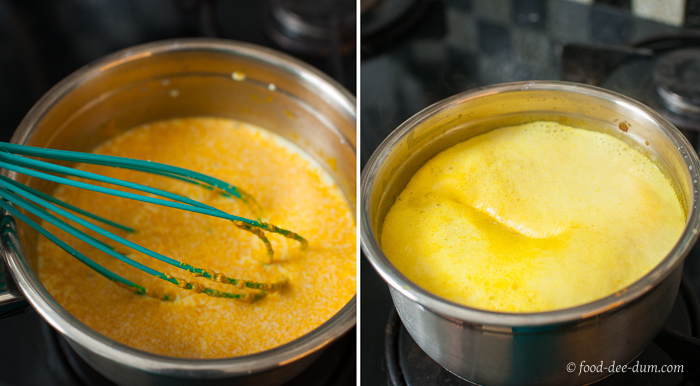 I placed the haldi powder, ghee and honey in the saucepan and gave it a quick whisk to remove lumps. I added the milk, the peppercorns and lightly bashed elaichi to the saucepan, whisked it some more, and brought the whole mix to a rolling boil. It’s important to whisk every once in a while to ensure there are no lumps. Bringing down the heat to minimum, I allowed it to simmer gently for 2-3 minutes before taking it off the heat. I strained it into 2 tea cups and that’s it. All done. Delicious, wholesome and soothing. It’s not called the healing golden drink for nothing!! 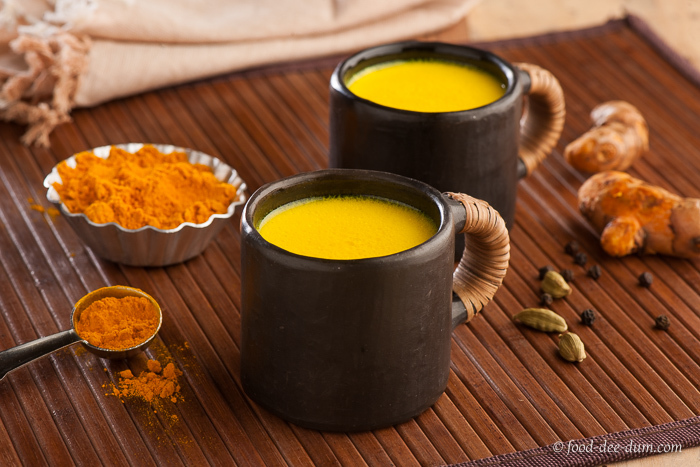 Note: Haldi Doodh is best made using fresh turmeric root, to garner the maximum benefits. 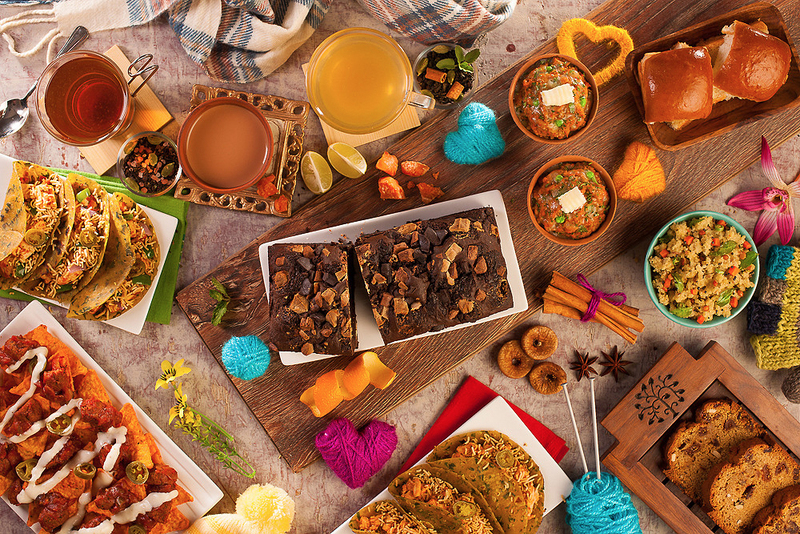 If that is not available, the next best thing is to use organic haldi powder or haldi powder sourced from a local spice vendor (freshly ground with no additives or preservatives). Having said that, the point of a home remedy is to be able to make it with what is easily available at home. So any form of haldi used would offer great benefits. But, as mentioned before, in the case of serious ailments you should consult an ayurvedic doctor so that you can make the best use of its health benefits. A quick, easy home-remedy for sore throat, to ease common cold or even to speed up the healing of a physical injury. 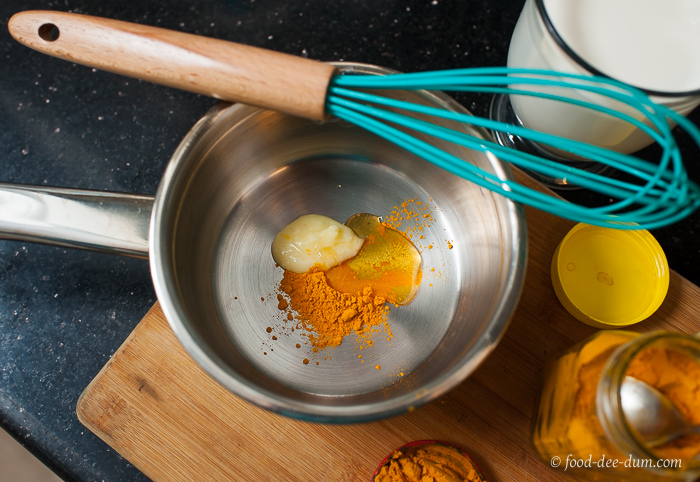 Place the ghee, haldi powder and honey in a heavy bottomed saucepan and whisk to combine. Add the milk, lightly bashed elaichi and peppercorns. Whisk again and set on high heat to bring to a boil. Lower the heat and simmer for 2-3 minutes. Strain into cups and drink hot.